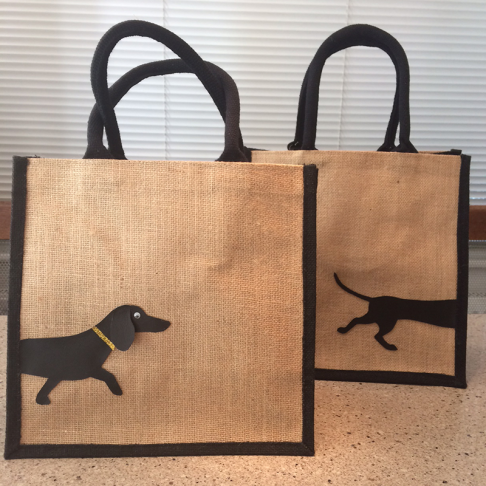 Splendid Gift vital for any Art loving Dachshund owning shopper. 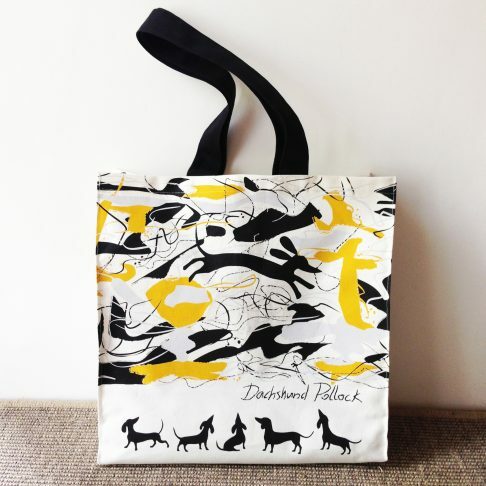 The Dachshund Themed Tote Bag designed to be stylish yet practical. Spot the dachshund weaving within the brush strokes of this popular Abstract Expressionist Painting. 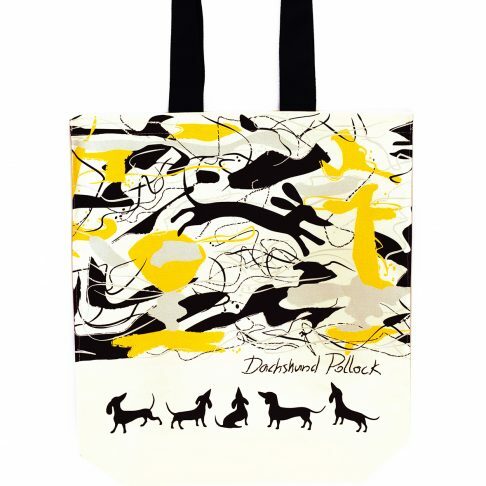 The Dachshund Pollock Tote Bag will appeal to Art lovers and Dachshund lovers alike. It fits a remarkable amount of goodies within the sturdy cotton size. The Black straps long enough to carry as a shoulder bag. Made from 100% Strong Cotton Canvas. Measures approx: 38 x 38 x10cm. 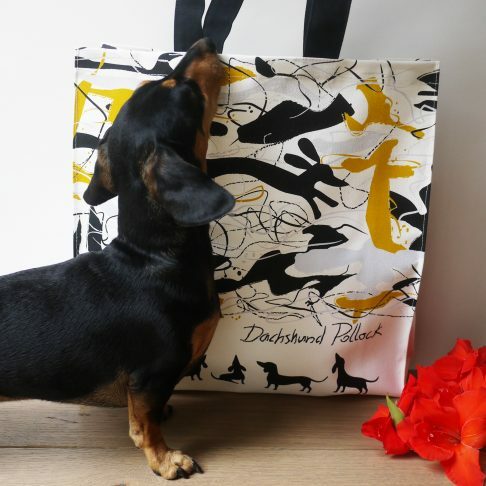 The Dachshund Themed Tote Bag designed to be stylish yet practical. 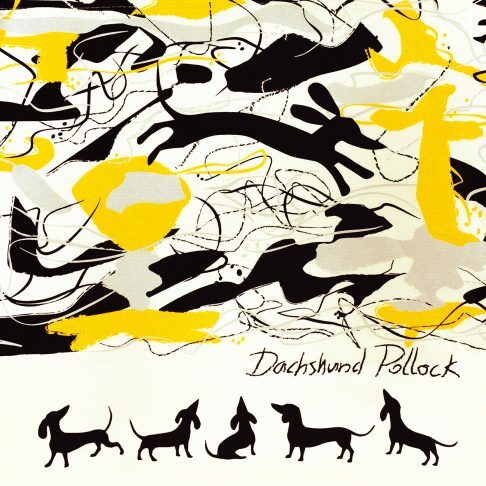 Spot the dachshund weaving within the brush strokes of this popular Abstract Expressionist Painting. The Dachshund Pollock Tote Bag will appeal to Art lovers and Dachshund lovers alike. It fits a remarkable amount of goodies within the sturdy cotton size. The Black straps long enough to carry as a shoulder bag.